It was the piles of shoes around the house that alerted me that something might be different with my son Tommy. He would also obsess over various subjects. I remember how, even a six-year-old, he could tell you how food got digested because he was obsessed with the human body. He'd sometimes narrate it as he chewed his dinner. "First," he'd say, "my food is going down my esophagus." Seeing this little kid say the word esophagus was something else, let me tell you. 1. Buddy the Elf has an odd appetite. Sometimes people with autism can only eat certain things. For example, at Thanksgiving, all Tommy wants are the rolls. He can't have cheese on his burgers because he says the melted cheese feels weird on his teeth. I knew one kid with autism loved ketchup and would eat it by the spoonful. 2. Buddy likes to spin around and around in the door. Sometimes people with autism like the sensation of repetitive movements. Tommy used to love being on a swing. He also used to walk back and forth for about ten minutes at a time. 3. Like Buddy, people with autism can take things quite literally. Buddy believes the restaurant that says they have the world's best cup of coffee. When the lady in Gimbels says she has fruit spray, Buddy assumes that it's something to eat. He got his Dad lingerie because the sign said "For someone special.." and assumed that's what you gave special people. When Tommy was younger, I told him to "give me a minute" and he started counting down from 60. 4. If you want to know how you look in an outfit, ask someone with autism. They are blunt because in their minds, they are being honest, and being honest is part of the rules. Buddy the Elf certainly didn't hold back. Tommy once asked someone why they smoked. "Don't you know it gives you black lungs?" 5. People with autism might fixate on something that enjoy. Tommy would fixate on learning about the human body. Sometimes he'd say random facts out of context. For example, we might be talking about his day and he'd suddenly say, "The large intestine is shorter than the small intestine." Buddy the Elf really liked the name Francisco and repeated it. 7. Buddy took it to heart when his Dad told him to get out of his life. Tommy cannot stand for people to be upset with him and will immediately take off like Buddy did. He also can get quite overdramatic. He once told me, "You don't want me as your son anymore," simply because I lectured him on not picking up the trash in his room when he said he would. I shared all these thoughts with Tommy, and he agreed. "Maybe Buddy was born with autism like I was," he said matter-of-factly. "Having autism isn't bad at all. We're fun people." What do you think? Either way, Buddy is pretty awesome, just like people with autism. Love these comparisons! I love Buddy <3 Your son Tommy is a super special guy I can't imagine my little guy saying such big words at a young age that's awesome!! I love Buddy! And of course, Tommy is awesome! I saw he hit a subscriber milestone on youtube! Congrats to him. I've not really paid attention to Elf but yes, Tommy is fun and he rocks!! I have never looked at Buddy the Elf in this way, but you are so so right! I haven't actually seen the movie, Elf, before. How shameful (I know!). I need to get better about my Christmas movie watching skills. I start them and then get distracted by something else. From what you described though, it makes sense? Now I'll keep an eye out when I watch. Did you see Finding Dory? What were your thoughts on that? I feel like there are always hidden messages in the characters of Disney or other childrens movies. I love it. Wow, I've never actually thought of Buddy like this, you're so right. I say they have a pretty enthusiastic life then (: I never really thought of that as well. Elf is one of our favorite movies. My son loves it. Although I think he is catching on to the part where papa elf says to buddy that santa isn't real because when we were watching it the other night. My son goes maybe Santa is "Pops" meaning his pop pop he calls him pops and then started saying "pop pop sammy" which he has a lot of pop-pops so we call them by his name and the dogs first name ha ha it's crazy I know but funny and he also said well Santa is old and I said yes he has a lot of helpers though (: HAPPY HOLIDAYS! Haha, that is funny. Yup, Tommy can be enthusiastic about things he's passionate about, that's for sure. Happy Holidays to you! People with autism causes them to offend so many people accidentally. They struggle to convince people that they didn't mean it. And that is why communication is very important for us to let the people know and understand why they were doing such things. And we as their family should always be on their side because they can strongly feel our ove that make them stronger to face any battle. This is so clever! People with autism are awesome, too. What a clever idea to help someone relate their special trait to a positive character in the movies. Such an interesting perspective. Truly enjoyed reading the post! What a great way to help people be aware about autism. Buddy the elf was an amazing guy and your son is too. 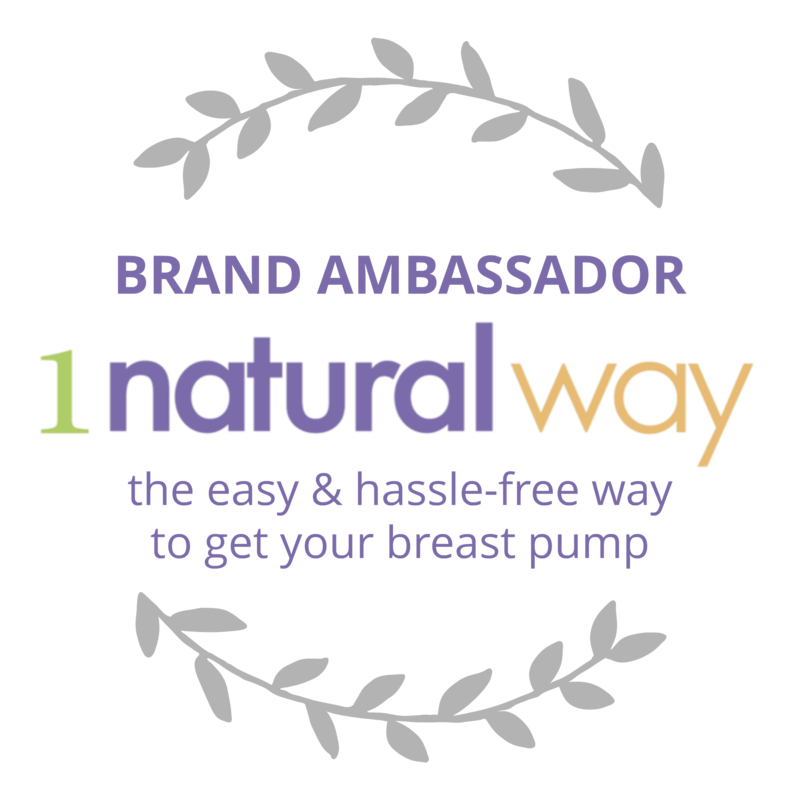 Loved your post! We watch Elf quite frequently over Christmas time, you're spot on. And Tommy sounds fantastic as well. You know now I think about it, you are completely right! It makes sense. One of our favorite Christmas movies! I'm loving your comparisons. Very interesting. I enjoyed reading this. This is such a cute post! I love it that you highlighted autism. We all have differences and that's what makes us special. I love Buddy and it's so cool how you compare the two of them. Very cute post. I love that you have a great attitude about it. The first time I watched it that was my first thought. I worked in a clinic with children with autism and have austistic relatives and he acts the same way as them. Such a great post! Totally agree, so much awesome. Elf is one of my favorite holiday movies! I can't go one Christmas season without watching it! I can totally see it. And like you said, Buddy is pretty awesome! Like Tommy. Now that you put it this way, I started to see Buddy in a different perspective, in a good way. I like people who are funny and honest. So much awesomeness!!! I haven't actually seen Elf yet! My best Friend cannot understand this about me lol! It dies look funny though! Certainly some good and thought-provoking points here though! Oh wow this is so interesting. I have learned so much about autism through your post. I love how you compared your son to Buddy. I loved that movie! Your son is such a smart boy. Great observations! And a wonderful, entertaining way to inform people about autism too! You as a fantastic mom.And you are son has extraordinary intelligence if he knows about oesophagus at 6 .I wonder what he will know when he us our age. Entertaining and a very informative post.God bless your family. I think you are right! Because the other elves at the North pole didn't act like Buddy! Wow, very interesting. What a fun way to let folks know more about autism. I really enjoyed reading it since I already loved Buddy the Elf. Happy holidays! I think Buddy might have 2 or 3 conditions going on, but your diagnosis is spot on. I actually really agree with you. I can totally see this. I love this movie though too. One of my favorite holiday movies. This is one of my favorite Christmas movies. I can really see your point that Buddy the Elf might have autism. Wow I never really thought of it, but now I can totally see your point! I have seen that show a few times with the family, but I have never thought about it. But you are so right! I love elf and Tommy sounds fantastic as well. Love these comparisons! I love Elf, it's one of my favorite movies. I also agree Buddy is pretty awesome and so are people with autism! I love Buddy and Tommy sounds so intellectual at such a tender age! Amber, you shouldn't worry about your kids! They both are just amazing! My niece is autistic and she's pretty awesome! Some people are mean to say that autistic kis are weird, but we just like to say they are different. Or in your words, awesome! I've never seen this movie and not sure hat we actually would but I can totally see your point of view. Your arguments are spot on. Such a great perspective and comparison to Buddy! I know a few autistic kids and they're some of the best human beings I know! I have never looked at it this way but totally makes sense. I am learning more about autism each day. This is such a nice perspective! The autistic kids are really amazing! I soooo love this film and I think it's makes sense that he has autism. It's something that people in the same situation can relate to and I think that's great. What a great read. This really gave me so much insight into the signs to look for with Autism. Elf is one of my favorite movies, and your theory seems so right! Very interesting! I need to go watch this movie again. I think you've found a really fun way to explain autism to people who just don't quite get it and I simply love your attitude. I can see that you are the fun mom! Tommy is awesome and buddy is too, this was really nice to read. This movie is a classic. Can't have Buddy without Tommy and between the two they cracks us up. If haven't seen this movie in awhile take the time to sit down and watch. This is quite an interesting idea. I guess he definitely could. I have a family member that has autism and she definitely has a lot of these qualities. That's pretty interesting. I suppose that Buddy is autistic! 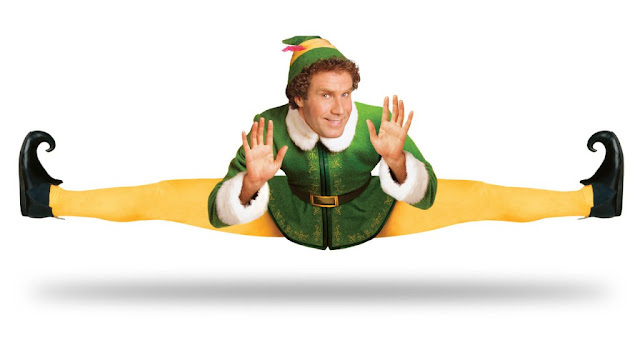 We love the Elf movie, and a part of that reason is Buddy's great quirks! I love these comparisons. It makes so much sense in my head. We love that movie so much! LOL I really enjoyed this article and I agree. People on the spectrum are seriously cool and my son (who is also) is the most refreshingly honest person I know. We need that in the world! I love how you saw the similarities and then told your son. Buddy is a wonderful character that you can't help but love. I've seen this movie once. I'll have to go back and watch it! I try not to label people. That being said, I have only seen it once and didn't love it so can't say that I really noticed. I guess I never thought of it that way before but the way you put it I think ole Buddy the Elf could very well have had autism. I also love what your son said about how autistic people are fun people, they totally are! I love this movie. I never saw that Buddy would have autism. What an interesting post. Thanks for sharing. Wow. I never thought about that. Thank you for the comparisons. You could be very right about it! I do love the movie Elf! Happy Holidays! Thanks for sharing. I'm not sure about your diagnosis as I haven't seen the movie but I did enjoy your analysis. I honestly haven't seen the movie Elf. It's great to know this on a different point of view. And yes, Tommy, it isn't bad at all. You are fun and awesome! I've never thought of this perspective, it's amazing how someone can open your eyes by making connections for you. Elf is my favorite movie and I love Buddy! I enjoyed reading Buddy and it’s great comparison on autism! And it’s my favorite Christmas movie! You're sounds amazing. This is one of my favorite movies. I'll definitely be looking at it through a different perspective the next time I watch it. This is interesting. Your son Tommy is such a kind soul. His words are honest and sincere. There are no pretentions in his feelings. He is a treasure. How blessed you are to have him. I love buddy the elf! He is really funny and entertaining! LOL! Yes. Love Buddy. He's so hilarious. What a great comparison. It helped me to understand autism a little better. Buddy is pretty awesome. i wouldn't have thought about it with autism, but now that you mention it, he probably would be on the spectrum. I am curious about whether Ferrell decided to play it like that on purpose. That's so cool that you could see that and share that with your son. I would never have picked up on any of the autism things in the movie not being aware of so many of them. Good learning lesson for myself on autism. I've never thought to look at it that way. I've learned so much about autism by reading your posts and I have to say that you're a great mom and Tommy seems like such a wonderful, smart kid. YEP! I could 10000% see this. My husband has autism, so this would be a very interesting conversation to have with him, however I am sure he would say 1000% YES HE DOES! OMGosh! I have goosebumps. This beautiful, thoughtful, well-written post needs to be shared with a wider audience. I really think you need to submit this to a magazine or the Huffington Post. This is amazing. It really breaks things down and explains autism better than anything else I've read on this subject. 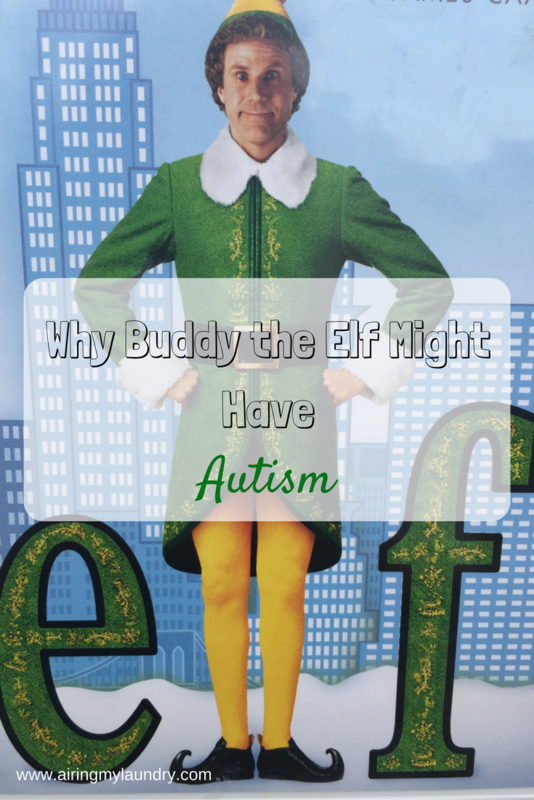 This is a great way to see Buddy the elf, as having autism. I always loved this movie and now I will look at it in a different light. This is a great take on Buddy the Elf, interesting how you can see traits once you know them. I have to admit I do love this movie. Good comparison and I never thought of it that way. I think elf is cool and learning about Autism and how it affects people is a good thing. Such a great movie! Never thought of it this way. Thank you for giving us this perspective and sharing what your son thought. I learned a few things from this post. Thanks again! You know, I have never seen Elf all the way through? I can totally see where you're coming from with this though. This is one of my favorite movies. I love how you've taken something so relevant and made it easier to understand. I really enjoyed reading this article and this is such a nice way to help people learn and understand more about autism. :) Now that you mention it, I think you are right. Maybe Buddy elf might have autism! He is so funny and cute! We watch Buddy the Elf every year and love his quirkiness. My daughter works in Special Ed and she's made the same comments-an interesting idea and your post is really well written. I think these are great illustrations of what Autism can look like. Buddy is awesome so it definitely shows them in a positive life. Lots of great points, and it's great that your son can relate to another character. It does make sense, since Buddy has those characteristics that you mention. Buddy is one of my favorite characters! I never thought about those comparison, but I can see the correlation. What an interesting perspective. I honestly haven't seen the movie, so I can't comment on the comparisons. However, you've done a great job on painting the picture of what autism looks like. I never thought of Buddy having autism. My son has high functioning autism and I definitely recognize some of these traits.